How do people change themselves and become more healthy and productive individuals? What are the characteristics and specific behaviors of highly successful people? What is healthy personality and how do we develop a way of being in the world that is satisfying and healthy? How can you engage and motivate another person to focus on their strengths and develop themselves fully? Questions like this were important to Gary and I as we began to develop a practical and research derived theory of healthy personality and positive personal change. This article examines the roots of the transformational leadership construct as related to the paradigm of emotional intelligence. In an attempt to delineate the emergence of the relationship between leadership and emotions, a theoretical framework is presented. Inferring leadership dynamics from inceptions to early contemporary notions, this article acknowledges the impact of emotions within “the transformation” of leadership paradigm. Alessandra R. Gonzaga and Marcelo do Carmo R.
The development of programs for improving emotional skills goes beyond questions regarding the selection of an adequate EI model. It is necessary to consider the organizational context as input data for defining objectives and action plans. This paper presents our experience in Brazilian companies with the EI learning program that we have developed and continue to refine. Our EIL program includes a basic framework for conducting EI coaching, training, and development interventions through five stages with well-defined goals and objectives, including (a) define, (b) measure, (c) analyze, (d) improve, and ( e) control. We also discuss the benefits of using EI to review and revise organizational practices and policies related to the recurring challenges found in organizations. We also provide a guideline for the intervention, assuring the alignment and production of meaning for the program. Emotional intelligence competencies were viewed as critical skills employers seek when hiring graduates based on the National Association of Colleges and Employers (NACE, 2008) survey. More recently, NACE (2012) reported that employers expressed teamwork and collaboration as critical skills for the work environment, thus making teamwork a top skill that employers value. This quasi-experimental research design connects the new recommendations from the Association to Advance Collegiate Schools of Business with a curriculum to improve interpersonal and intrapersonal aspects of leadership by incorporating EI as an integral part of the Management Concept course in the School of Business and Economics at North Carolina Agricultural and Technical State University. Findings suggest a positive significant impact on emotional intelligence scores and team effectiveness. Implications are that emotional intelligence embedded in the business curriculum can make a significant difference in individuals’ performance in a team environment. This article discusses the concept of grit and why it is important for leadership. Grit is the product of Emotional Intelligence (EI), the ability to identify, assess, and control the emotions of oneself and others in order to accomplish the mission. Cultivating EI instills grit and builds confident, committed, resilient, and goal-oriented leaders. Using examples from the Army Special Forces community and Squadron Officer School, this article highlights the critical role emotions play in leadership, the history of emotions and leadership, how EI influences leadership, and finally, describes how the Air Force can develop EI to instill grit and better leaders. Special note of thanks: Michael Elkins, Ph.D., is a professor of communication and takes a unique approach to teaching interpersonal communication while paying attention to intrapersonal communication. We thank Dr. Elkins for his contribution of this important article, which also appeared as a chapter in our book, Teaching and Learning Excellence (Nelson, Low, Nelson, & Hammett, 2015), and we appreciate him for his good work with students. Mathematics continues to receive much attention from university and college administrators and educators with respect to student achievement. As the achievement rates continue to be a major focus area, college faculty and administration are researching and investigating additional ways to improve student success, specifically in developmental mathematics. Non-traditional factors such as implementation of emotional intelligence skills and constructive/reflective thinking exercises have showed positive links to academic achievement in general. Such skills integrated into math classrooms may provide the missing link into addressing the current crisis of mathematical decline in the United States. Since the beginning schools of psychology have postulated the essence of personality. The problem with most definitions is that personality is fixed from an early age, allowing for relatively few options for positive change and growth. The purpose of this article is to provide a new research-derived definition of personality that allows for life-long learning, development, and improvement. 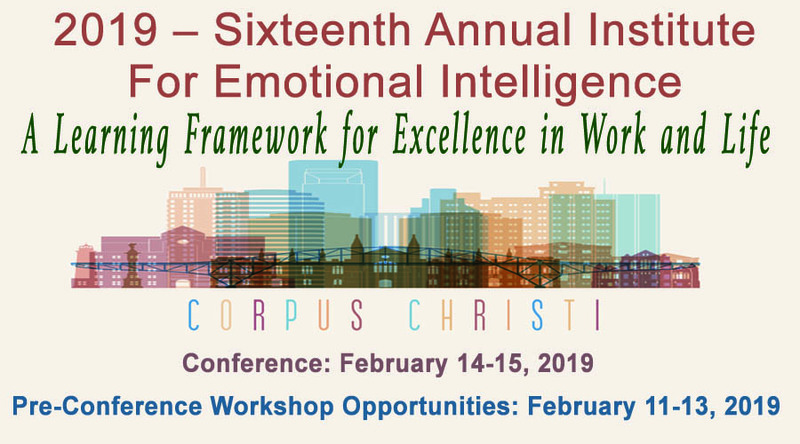 A transformative theory of emotional intelligence (EI) provided the theoretical framework for the study to address how a new EI-centric measure of personality, the Life Style Type Indicator (LSTI®), is related to the popular Myers-Briggs Type Indicator (MBTI®). The quantitative study involving senior corporate managers (N=93) resulted in 13 significant correlations between LSTI® and MBTI® measures. These findings will be useful to anyone who is interested in helping people change and develop in positive ways. Margo Murray, MBA, CPT, is President and Chief Operating Officer of MMHA The Managers’ Mentors, Inc., an international consulting firm, founded in 1974. Margo and the MMHA team have integrated the emotional intelligence research and resources of Drs. Nelson and Low into performance improvement processes for more than thirty years. She has a unique combination of experience in line and staff management, academic work in business and behavioral sciences, and experience in structuring and managing human performance systems. Her best seller book, Beyond the Myths and Magic of Mentoring: How to Facilitate an Effective Mentoring Process(2nd ed., 2001, Jossey•Bass/Wiley Publishers), is considered the seminal work on facilitated mentoring. The MMHA Facilitated Mentoring Model and Processes© , has been implemented in more than 100 organizations in 25+ countries. The following bibliography is offered as listing of completed works related to the transformative models created by Nelson, Low, and their students and colleagues. The first section contains works in the form of books, articles, and papers. Doctoral dissertations and significant master’s theses are contained in the second of two sections. 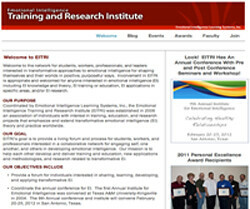 It is our intention to maintain the bibliography related to this EI theory and work on our our website at www.eilearningsys.com/?page_id=65. 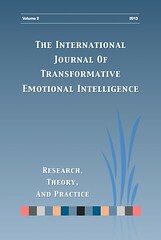 We will also include updated versions of the bibliography in future volumes of The International Journal of Transformative Emotional Intelligence.